How do I find all my network devices? Sooner or later, every administrator must tackle this question. Administrators perform regular inventories, especially in medium-sized companies. 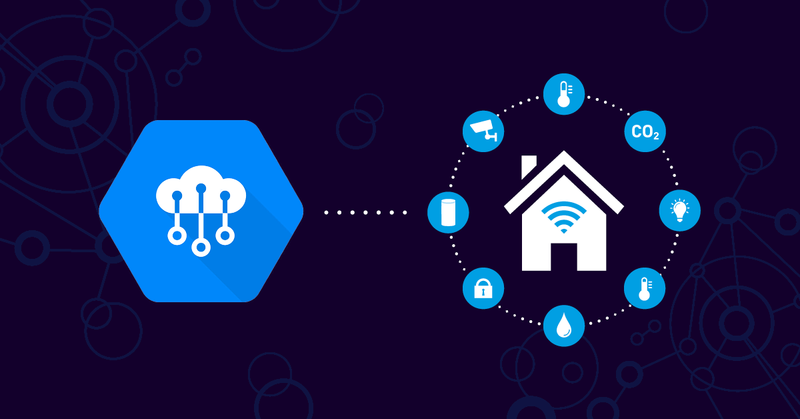 These inventories are not only done to get an overview of the network, but also for security reasons: An inventory will let you see if unwanted private devices are connected to your network. When a company grows, so does its network. Many administrators are faced with the task of gradually expanding their networks. When doing so, network devices must be routed correctly to ensure the network remains stable and efficient. Increasingly, accounting departments are also keeping an eye on networks. It is important that all costs associated with network devices, maintenance, and licenses be recorded. To do so, administrators must have an overview of their hardware and software. Taking stock of the network can help. We'll show you how in 2 short minutes! The PRTG Auto Discovery feature makes it easy to take stock of a network. This feature will automatically find all the network devices within an IP address range, and then integrate them into your monitoring. 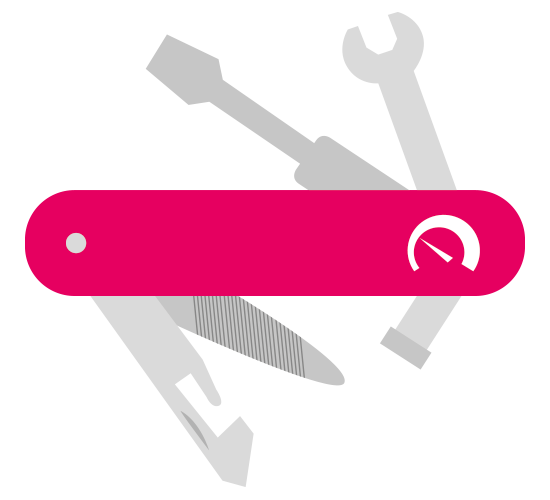 When opening PRTG for the first time, new devices will be detected and set up automatically. PRTG lets you create your own timetable: run the discovery automatically, either daily, weekly, or monthly. Each time, you’ll receive a ticket and an e-mail. And that means you’ll be able to keep a constant eye on what’s going on in your network. 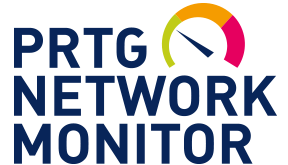 PRTG monitors your network 24 hours a day, 365 days per year - and not just at irregular intervals. You’ll therefore be able to discover those devices which may have been turned off during a one-time scan. At the slightest problem, you’ll be notified at once. Our alerts enable you to act quickly and avoid more serious disruptions. The alarm system is individually customizable. PRTG makes it easy to discover and monitor network devices that are spread out over several different locations. The centralized monitoring of distributed sites functions via remote probes, which run as a Windows service on a server in each of the respective locations. Each network device is set up by PRTG in a device tree. A simple and easy-to-understand dashboard illustrates the status of your network and of each individual device by way of a traffic light system. The dashboard is available on your desktop, or as an app for when you’re out of the office. 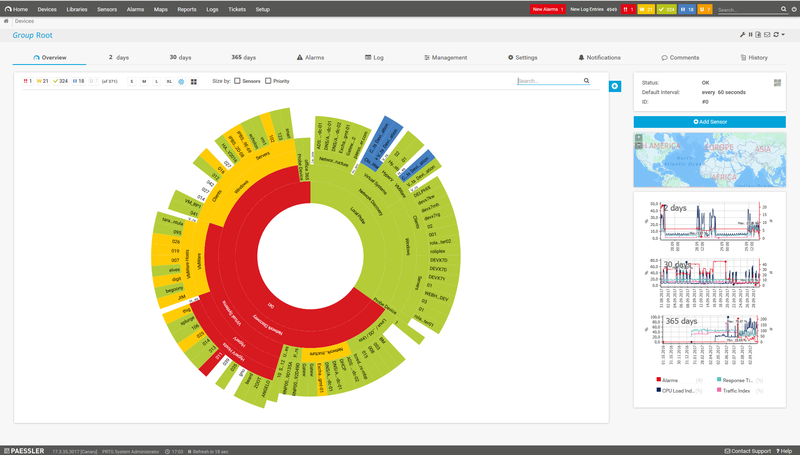 Your monitoring dashboard might look like this! Enter the IP address range within which PRTG should search for network devices. Then launch the Auto Discovery feature; PRTG will use ping to find all the devices located within this IP range. Next run a scan to identify the types of devices which were found. Appropriate sensors will be created automatically. To do so, PRTG uses SNMP, WMI, and other protocols. All devices found by PRTG are then set up in a device tree. PRTG uses a number of device templates for this process. Whether Microsoft, Cisco, Dell, or Juniper: Corresponding devices are available for all the big manufacturers. 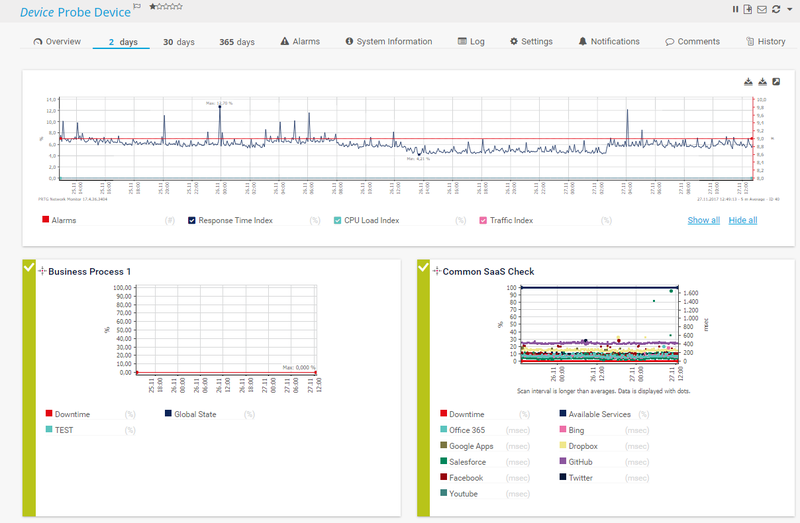 PRTG sets up your network monitoring automatically and within minutes. You can fine-tune this initial monitoring over time. And while the runtime of Auto Discovery depends on the size of the designated IP range, the number of devices found, your network connection, and some other latency factors, once it is launched there is nothing else for you to do except adjust a few of its settings (such as “credentials”). 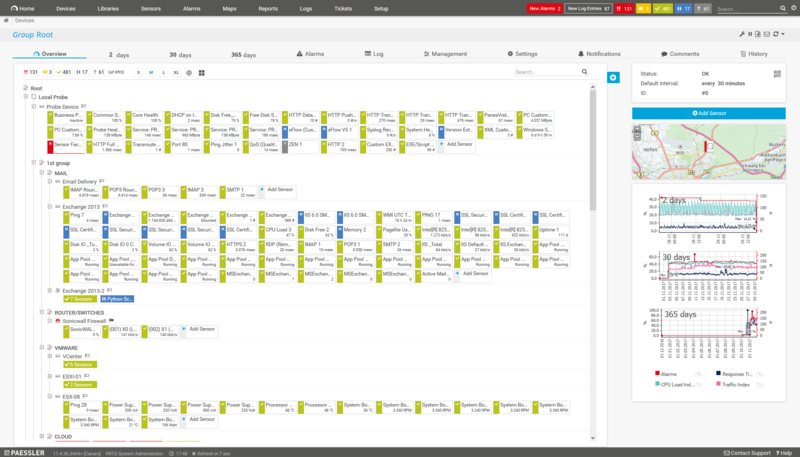 jFlow lets you monitor Juniper Networks hardware, among others. Here too you can configure devices especially for PRTG. It features a high degree of similarity to NetFlow5. Find out more about our jFlow sensor. A network or switching loop can have a negative impact on the performance of your network. Such a loop may even lead to an outright network crash. The PRTG Packet Sniffer and NetFlow sensors will help you identify network loops, by highlighting the frequent appearance of duplicate data packets, for example. These sensors monitor incoming data packets, and filter traffic according to IP addresses, protocols, and data types. Many administrators are in search of simple network scanners or tools that are 100% dedicated to network discovery. In such cases, it’s not about setting up monitoring, but discovering available devices as quickly and easily as possible. We too have used these tools in the past, such as “Angry IP Scanner,” when our company moved into its new offices. 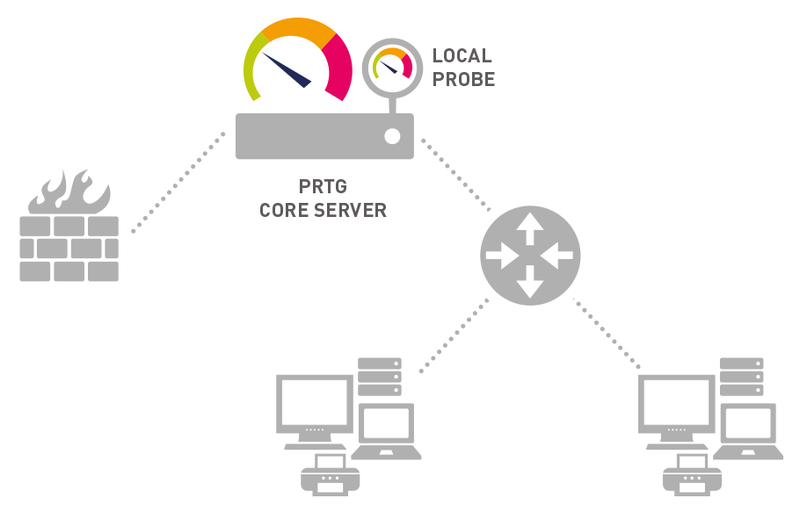 PRTG is a comprehensive network monitoring tool. 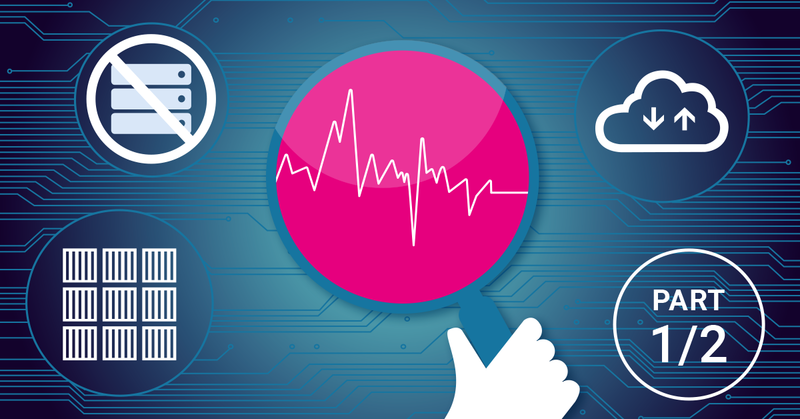 Device discovery is the first step to the setting up of monitoring. PRTG offers considerably more than a simple network scanner. 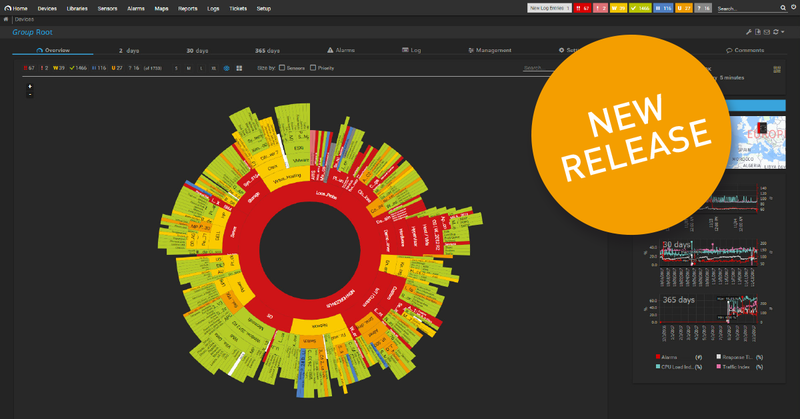 With PRTG, you can monitor servers, databases, websites, and much more. PRTG comes with pre-configured sensors for a number of different manufacturers, including Cisco, HP, and Dell. PRTG should not be seen as a rival to a simple scanner. Each is used in different circumstances. PRTG is convenient for taking over the tasks of scanner tools. On the other hand, some situations call for a simpler tool, such as for a short test when you don’t need detailed monitoring but only a quick overview.